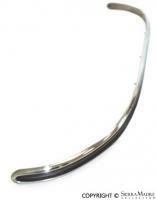 356 GT aluminum pre-polished bumper deco strip for the front or rear. 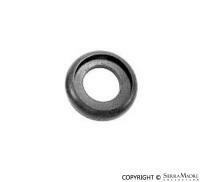 Don't forget to order the molding Fasteners (#SMC.559.010.05). Fasteners for the aluminum 356 GT deco molding strip. This set includes fasteners for both the front and rear molding strips. One set needed per car. 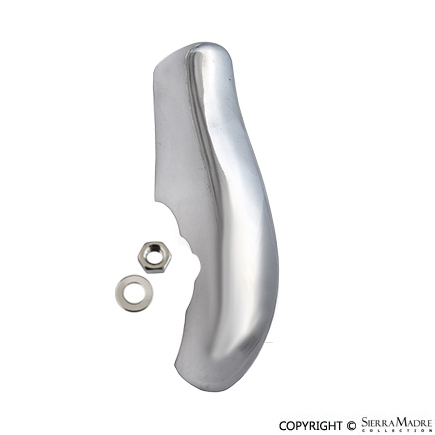 Aluminum rivet for bumper end cap and wheel arch trim on 911 and 912 models. 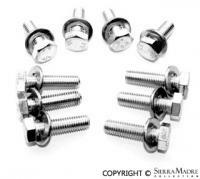 Hexagon-headed bumper bracket bolt and waster set fits 356 and 356A models (1950-1959). Complete your OUTLAW project with this chrome nerf bars set! Interchangeable for the front or the rear. For replica cars only. Front bumper deco base gasket for 356 and 356A models. Rubber insert for front bumper deco of 356 and 356A models. Complete front bumper deco with base gasket and insert. This will fit 356 and 356A models. Concours quality reproduction LEFT FRONT or RIGHT REAR aluminum bumper guard. Concours quality reproduction front short version polished aluminum bumper guard used on cars without over rider protection tubes. 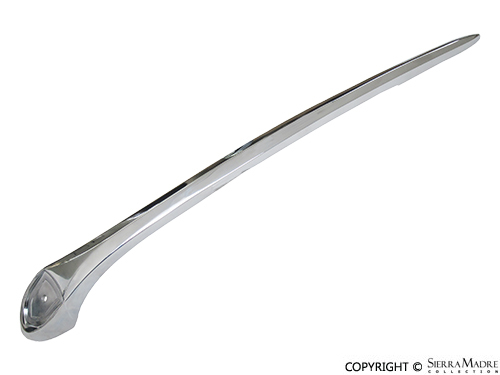 Concours quality reproduction front bumper guard (155mm) for 356A model with the low overrider bar. The height represents the distance between the mounting studs. Concours quality reproduction RIGHT FRONT or LEFT REAR bumper guard. Non welded front bumper with brackets. 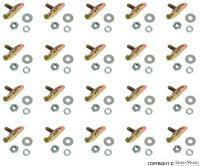 Fits 356 (1950-1955) and 356A (1955-1959) models. Front bumper for 356 (1950-1955) and 356A (1955-1959) models. 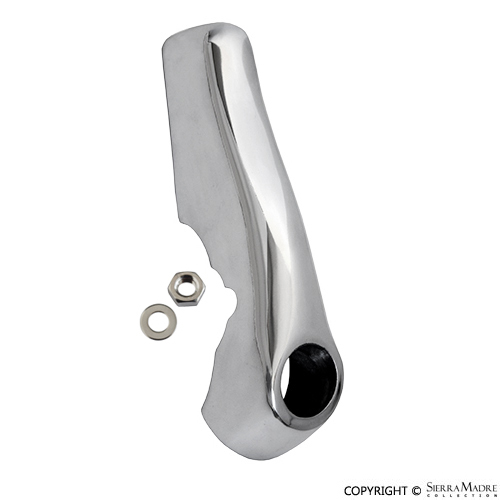 Oval grommet for front protection tube on 356 and 356A models. Two required. 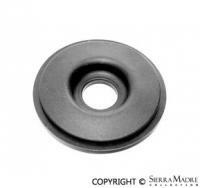 Grommet for protection tube supports on 356 and 356A models. Four required. Plastic profile for short and tall bumper guards on the 356 and 356A (1950-1959) models. Two required. 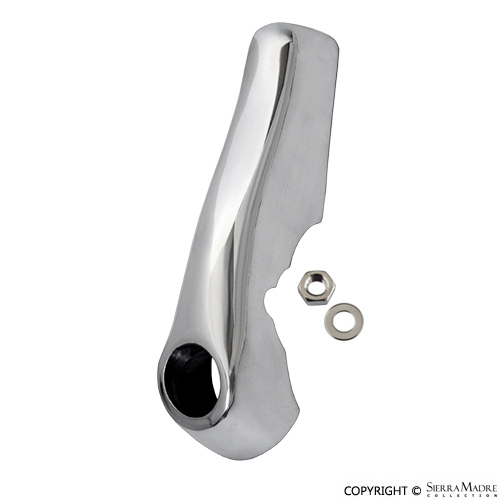 356A chrome metal hood handle. Porsche crest part #644.559.210.00 is not included. Hardware set for side trim molding on Coupes, Speedster, Convertible D and Roadster models. One set per car. Rubber insert for rear bumper deco of 356 and 356A models. Complete rear bumper deco with base gasket and insert. This will fit 356 and 356A models. CURRENTLY UNAVAILABLEConcours quality reproduction short version polished aluminum left rear bumper guard with exhaust hole used on cars without overrider protection tubes. 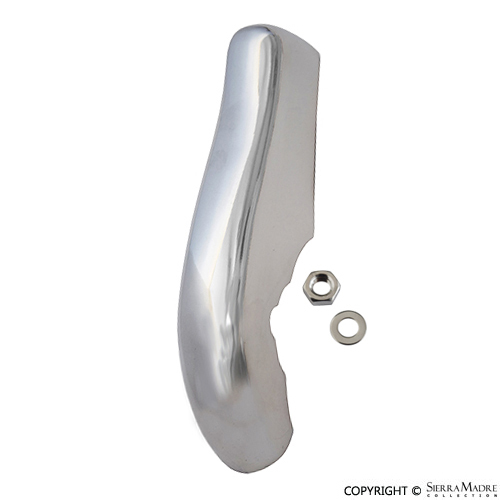 Concours quality reproduction rear bumper guard with exhaust hole for 356A models. 155mm. The height represents the distance between the mounting studs. 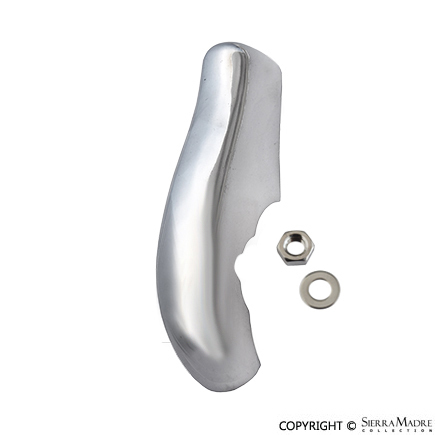 CURRENTLY UNAVAILABLEConcours quality reproduction short version polished aluminum right rear bumper guard with exhaust hole used on cars without overrider protection tubes. 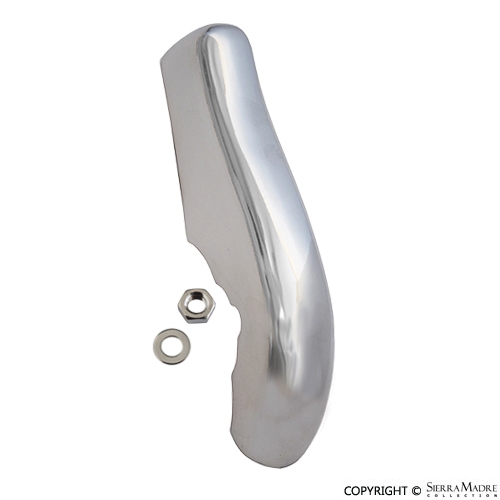 Concours quality reproduction rear bumper guard with exhaust hole for 356A(T2) models. 155mm. The height represents the distance between the mounting studs. Rear bumper for 356 and 356A (1952-1959) models. 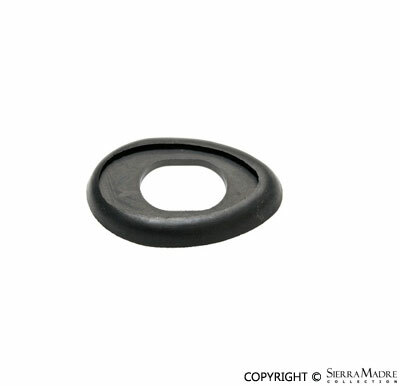 Oval grommet for rear protection tube outer end on 356 and 356A models. 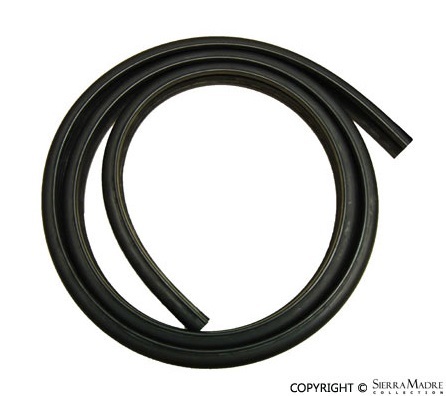 Round grommet for rear protection tube inner end on 356 and 356A models. Rocker deco narrow insert for 356B, 356C, 911 and 912 (1960-1973) models. Rocker deco molding with rubber base, rubber insert and hardware which fits the 356 and 356A models.